No traces of explosives or their components were found on the debris of a collapsed apartment building in the Russian city of Magnitogorsk, the Russian Investigative Committee said Friday. 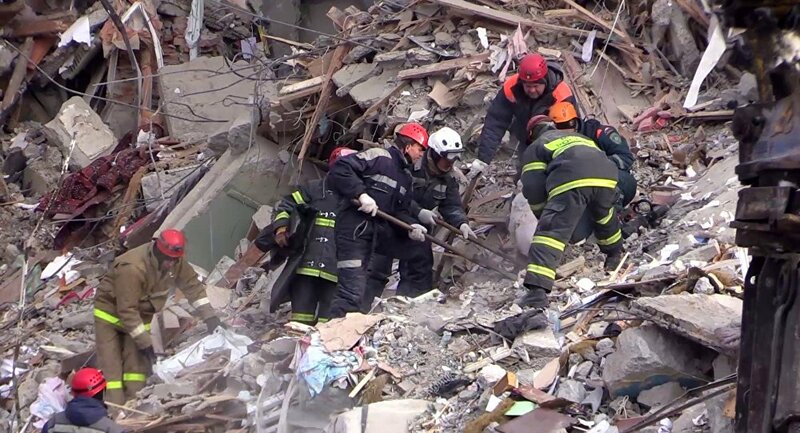 "The forensic investigators and experts of the Russian Investigative Committee have completed the inspection of the debris removed from the site of the collapse of the residential building on Karl Marx Street in the city of Magnitogorsk. No traces of explosives or their components were found on the analyzed fragments," spokeswoman Svetlana Petrenko said. A 10-storey apartment block collapsed in Magnitogorsk on New Year's Eve, causing multiple casualties and destroying scores of apartments. The search and rescue operation on the site was ongoing until Thursday when Emergencies Ministry said no more people remained under the debris. The bodies of all 39 people, who had been killed by a partial collapse of have been identified. Bodies of 22 Magnitogorsk Blast Victims Identified – Russian Emergencies Min.